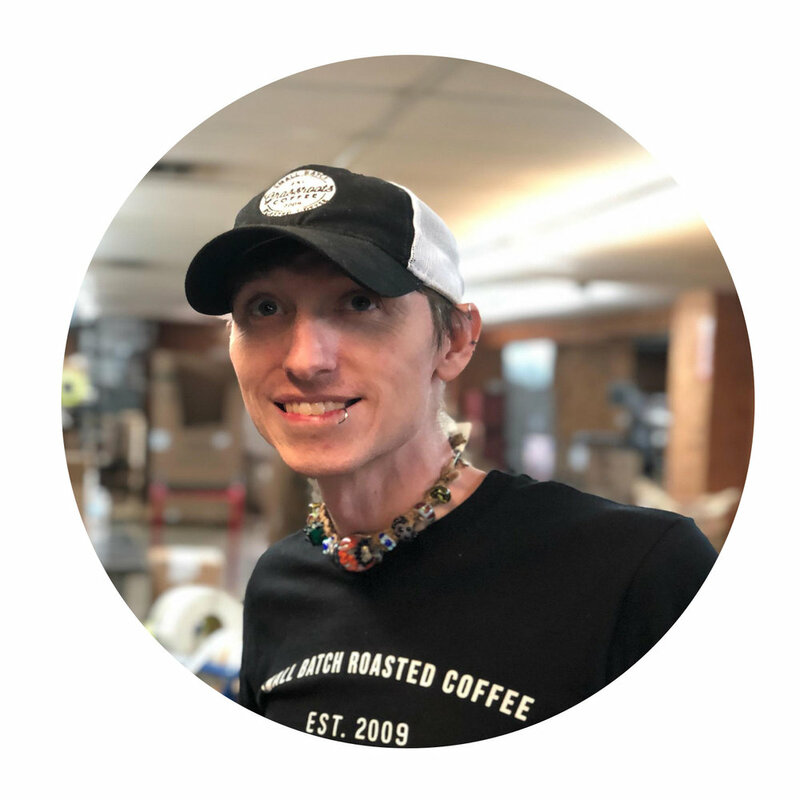 Meet the hardworking and dedicated staff of Grassroots Coffee Roasters and Grassroots Coffee Company - we hope you recognize a familiar face and get to know us better! Peyton has been with Grassroots since…um, forever. You may know him from the coffee shop, but now he hides out in roaster warehouse full time keeping watch over his beans while also rehearsing for his local productions. Jonathan has been serving Grassroots customers since 2016. He gets your coffee shipped out the door no matter what it takes...like literally driving to the UPS hub late at night. Be sure and wave to him in the Grassroots van! Amanda takes care of our wholesale customers and keeps us busy with new projects at the roaster warehouse! If you’ve got leads for wholesale coffee customers - send them her way! She will thank you with … well, coffee. Sarah is the brains behind our social media and newsletters. 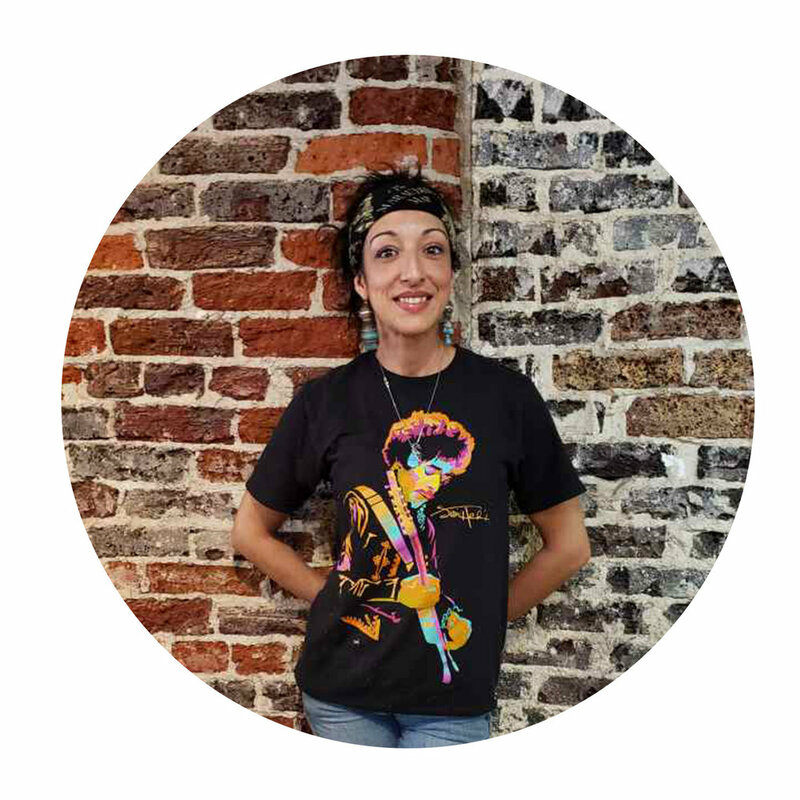 She has been managing the content and imagery for Grassroots for as long as we can remember and we think she rocks! If you like our packaging and logo designs you can thank Jessi. She is a living legend around Thomasville for her amazing artistic talent! Don’t get any ideas, we are keeping her. Kerrie has been with Grassroots since 2013. She manages the baristas and kitchen staff and we would be completely lost without her. Seriously, she is superwoman. Kerrie hails from Michigan, if you listen closely you can hear the cold in her voice. Mez has a knack for creating the delicious menu items at Grassroots. Try his weekly specials and you won’t be disappointed! He and the kitchen crew are whipping up fresh food daily until 2pm. Samantha, MaClay, Levi, Doren, Mallory, Marty, and Ashlynne are just a few of your favorite baristas! They wake up early and try and keep the lines as short as possible! Be sure and thank them a latte for their hard work! The familiar faces of Spencer and Megan Young (and their future coffee fanatics, Ford and Mabry), are where it all started. Megan grew up in Thomasville, and Spencer grew up just up the road in Tifton. They met in Mrs. Whipple’s Biology class at Georgia College in Milledgeville. Their love of coffee and community are the backbone of our talented team. Ed is a local serial entrepreneur, Co-owner and CFO of Grassroots Coffee Company & Grassroots Coffee Roasters. Ed can be seen cruising the streets of Thomasville in his 1964 Land Rover or other unique cars in his collection. He is also partners in a local Payroll and staffing company, New Hire Solutions, among 10 or so other Thomasville businesses. A throwback to the early days…some of the faces have changed, but the coffee is still the same! The entire Grassroots crew works hard everyday to make sure you enjoy your coffee every time! We love what we do and the people we work with! !